The CareGiver Partnership: Why Use Tena Protective Underwear? Why Use Tena Protective Underwear? The good news for those that suffer from incontinence is that there are protective products for everyone. With advances in absorbent materials, Tena products are now more thin, reliable, and comfortable than ever before. 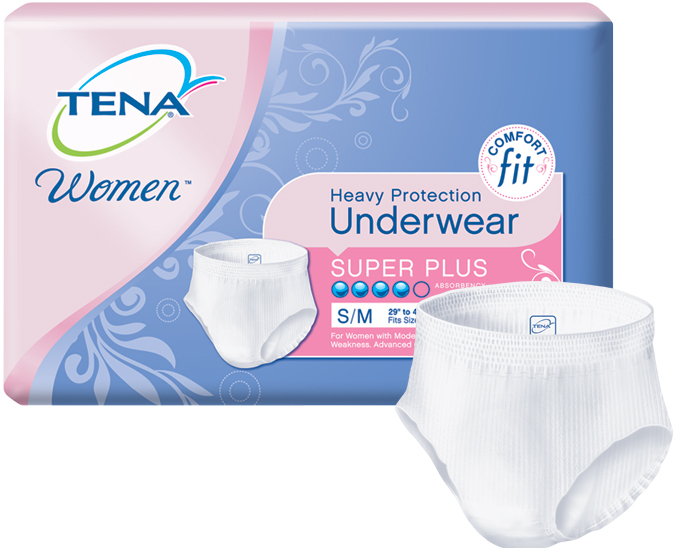 Whether your incontinence issues are temporary or Chronic, Tena has the best protective underwear for you. The hard part about determining the product that you need is finding the best absorbency protection for your protective underwear. Extra coverage doesn’t necessarily guarantee more protection. The highest absorption factor will guarantee the best protection. Tena protective underwear receives many positive reviews from users. Tena’s Ultimate Full Coverage line of protective underwear absorbs much more urine and excrement than other products on the market. Most people have to change their bed linen three or four times daily without the benefits of Tena protective underwear. Tena protective underwear help a person maintain their dignity by allowing them the ability to have a barrier to protect them from their incontinence. The products available from Tena may be a little more expensive from other brands out there but they tend to provide you with a higher level of quality. Many users find that the adult diapers are quieter and easier to wear from other brands. This helps you to discretely manage your condition. You won’t be self-conscious about your adult diaper and worried that other people may be able to detect it. If you are caring for a loved one, always make sure you are washing their skin properly. Many adult diapers can lead to rashes and skin irritation. Skin irritation can lead to bedsores if a person is bedridden or wheelchair bound for a long period of time. A person should be changed frequently throughout the day. However, at a long-term care facility that is short staffed, this is not always a possibility. Making sure that a person has fresh clean underwear is important. One of the many benefits of Tena protective underwear is that they feature an elastic band. A person might be able to try and make it to the bathroom on their own and pull down the underwear without a problem. Tena also has protective underwear that allows for greater airflow. This prevents many skin irritation problems from happening as the individual will be drier. This can reduce the odor that is also accompanied with having a condition like incontinence. Frequent changings may be necessary for a person that experiences a high amount of urine loss through the day. Stress incontinence can often be managed with a simple pad but those with urge incontinence may end up having a higher amount of urine loss, which will require more protection. The Tena line comes with a higher level of absorbency options from other brands. This can help to make it a little easier to find the right adult diaper or pad that will be able to give you plenty of protection against the type of urinary incontinence that you are suffering from. Tena pads and underwear are very important in the struggle against incontinence. They help a person maintain their dignity while staying protected from their inability to control their bodily functions. Tena maintains their quality products and continues to research their InstaDri system. The InstaDri system helps a person maintain a certain level of protection if they cannot change their underwear or diapers for period of time. Tena employs the best techniques when manufacturing their protective underwear. They are very much concerned with developing a high quality product and maintaining it through good branding practices. Use Tena products today to compare the differences in the various levels of protection and to focus on managing your condition in a discrete manner. Are Depends Diapers The Right Choice? Are Abena Diapers The Right Ones For You?